Hi, I just ordered a memorial flag case and I just want to tell you what a pleasure your web sight is. You made it so easy to get what I wanted and the way I wanted it. Your options and range of cost was perfect to decide what I could afford and what I could not. Thank you so much, I'm sure my husband would be happy with the choice I made for his flag. Thank you again. I want to thank you for the amazing box. I bought this for my husband and it couldnt be better. This was such a meaningful gift and I wanted to thank you for everything. Seattle, Wa. Thank you for the flag case. The sale finished as good as it started. Your staff was extremely considerate and the quality of work produced was superb. 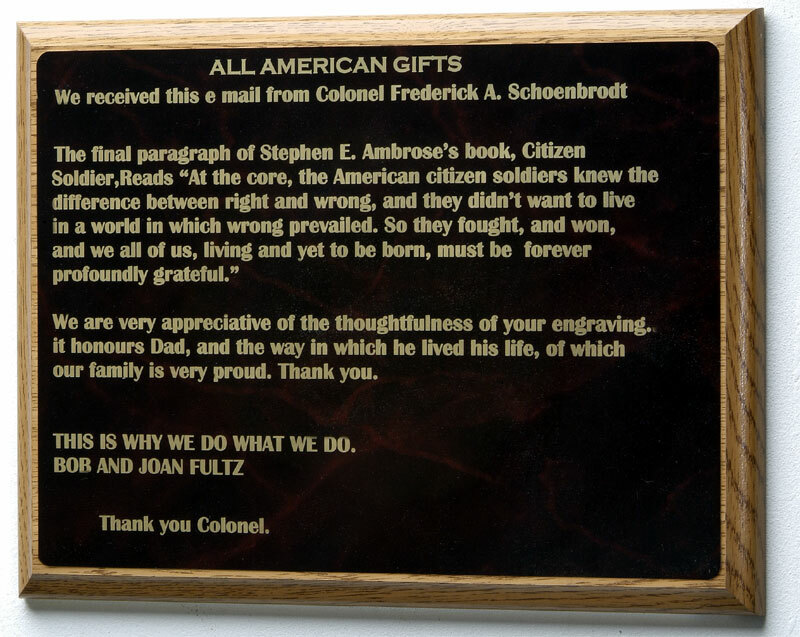 I want to thank everyone, including Debbi, Amber and Gary, for the Great Job that was done creating the Flag Box for my Uncle, Sergeant William S. Fleiss. It looks Beautiful, and the workmanship is Immaculate! I appreciate your patience in making sure that everything came out just right. Everyone was very communicative, and there was immediate response to my inquiries. There were many emails and faxes back and forth to make sure that everything was perfect, which is very appreciated. 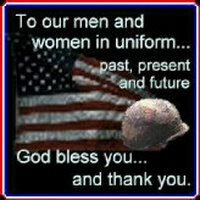 I felt the need to write you with my and my family's thanks for the service you provide. I called your customer service line to inquire about the case for my Father's burial flag and the kind woman who answered the phone walked over to the shipping department to look it up. She tracked it for me and I was relieved to not only find it was due to be delivered that day but arrived 5 minutes after I hung up the phone. I was very pleased to see the obvious care you take in packaging the cases so that even the most determined shipper would have a difficult time damaging the contents. I received my flag case from you earlier this week that was customized for my father. I must say I am so pleased with your care, attention to detail, and the the appearance of the case. On behalf of my family, I wish to express my sincere appreciation for your fine work. Jeffery W.
My husbands shadow box arrived today. When I ordered I was leary since I am a touch and feel shopper who likes to see everything before I buy it. I have to say I am so impressed with the quality and craftsmanship. I did a trial run with his memerabila and everything looks great! Thank you so much for such a great display case and at such a reasonable price. Respecfully, Sarah S.
I just wanted to say thank you for the beautiful flag case. My father passed away this past September & we knew at that time that we wanted to order a case for my father's flag as a Christmas gift for my mother. Unfortunately I procrastinated and when I finally ordered one there was less than 2 weeks until Christmas. Never did I think I could order a laser engraved case and have it shipped across the country for her to receive it in time. I ordered from your company & it was shipped within 2 days & received in plenty of time. She cried when she saw it because it is so beautiful. I do a lot of online ordering and I have to say how impressed I am with your company & your products. Thank you for such a positive experience. ---Eileen R.
I just received my order, and I cannot be pleased enough at the quality of your product. This order is to honor my wife's parents who were WW II Veterans. This is a surprise for her mom, since her dad passed away 5 years ago. We want to be able to hand down to the family a lasting memory of their Grandparents, who made the the sacrifice of serving their country in a time of need. As a Beirut Marine Corps Veteran, I thank you for providing a product that we can preserve the sacrifice that so many people have made over the course of time. Eddy H.
I just wanted you to know that the coin cabinet that I purchased was a hit with my son in the USAF. I talked to him last night after he opened it up and was greatly surprised about what he found in the bottom of the box. I had no clue that the message I wrote in the comment box was going to be engraved on a brass plate. I want to thank you so much for a great piece of work that my son will be able to share for a lifetime. I slept a very happy man last night!! You all are unbelievably fast! Seems like I just ordered a sword holder for my son and it was here about 3 days later! Thanks ever so much! He left Afghanistan last week, went thru Manus, and is now in Baltimore, headed home to his wife. They'll be here in about 11 days! Was worried I wouldn't have his gift in time, but the display beat them here! Thanks!!! To Joan and the Staff at All American... I have done business with you and your company for 3 years now. I have been very pleased with your services. I am highly impressed with your fine attention to detail and your customer service. Thank you for all you've done. 1SG Rick Green, FLARNG. I am currently stationed in Iraq and been looking around the shops on base for 4 months searching for the perfect gift for my wife that represents how thankful I am to have her and how amazed I am at how supportive she is. I am an A-10 Warthog Crew Chief and I decided that the perfect gift would be to fly a flag for her. I found your website on a Google search and after I saw your flag/certificate combo cases I stopped looking and I bought one for her. Within a week of ordering the case, my wife had it in her hands and she said that she couldn't stop crying because she loved it so much. She told me that it is the perfect gift. Thank you so much for everything. I will be recommending your company to all of my fellow service members. Scott B. My Cherry engraved flag memorial case arrived today. I took the flag given to me at my brother's funeral (he was retired from the U S Navy and a Vietnam War veteran) and placed it in the flag case. Upon turning it over, the tears just came gushing out. Not only am I proud of how beautiful this case is BUT I know how proud Teddy would be. He was honored to serve his country and protect the freedom we Americans enjoy. His remains are in the Arlington National Cemetery - his heart remains with me . . his little Sister! Thank you so much! J. Struble - Bella Vista, AR. Just wanted to let you know that I received the case I ordered in a timely manner. Mr. Fultz, I wanted to just drop a note to complement you on the shadowbox I ordered. Impressed cannot even begin to describe what I thought when I opened the box! I was blown away by the quality and the beauty of the case. I can't wait for him to open it Christmas morning! Thank you very much, Kate F.
Thank you so much. The order arrived safely and I am so pleased with my purchase. On behalf of my entire family I would like to thank you and your staff for making it possible to lay this memorial stone at our farm for my father, who was an avid pilot and loved the HighFlight poem.With your kind help, we were able to have our event on time, with everyone in attendance. Just recieved my combination case today. I am very impressed and extremely satisifed with the quality of this case. Awesome Job! I will definitely be coming back to All American Gifts for future purchases. Thank you! William K.
The plaque arrived today. The artistry with which you put this together is unparalleled, especially considering the condition of the artwork that I supplied. You have exceeded my expectations, and “knocked my socks off”. I have copied the Director of Veteran’s Services for the County of Riverside on this message in order to help spread the word of a truly worthy vendor who beats timelines, keeps cost low and does brilliant work. Thank you! Mike T.
Thank you so much for a wonderful product! The display case is beautiful and looks even better in person. It shows off the badges, medals, and awards in a professional, handsome way. I am very pleased with how it turned out and would recommend your products to anyone, because not only do you have high quality products, you also have exceptional customer service. For so long, my partner's memorabilia from the Army has been stashed away, now it can be proudly displayed on the wall in a beautiful display case. Thank you for making that happen!